Three versions of the Martha Washington Hotel operated between 1887 and 1983. Though only two were named The Martha Washington, all three were started by The Portland Women's Union. The first all-women volunteer organization in the state of Oregon, the PWU had a primary mission to provide a safe and respectable residence for women coming to the city of Portland. 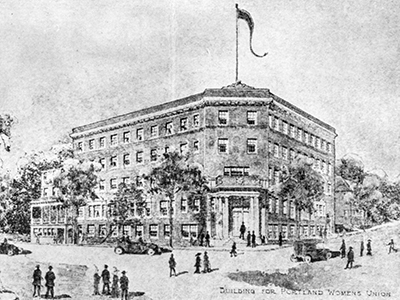 There were no organized social services to support women in the city at the time, so the Union also established Portland's first night school, which offered classes in grammar, mathematics, and bookkeeping, and an industrial school, where women could learn gardening, sewing, and housekeeping skills. The PWU hired a "depot matron" to direct young women to "respectable" housing and employment and worked with social agencies to begin the travelers' aid program. 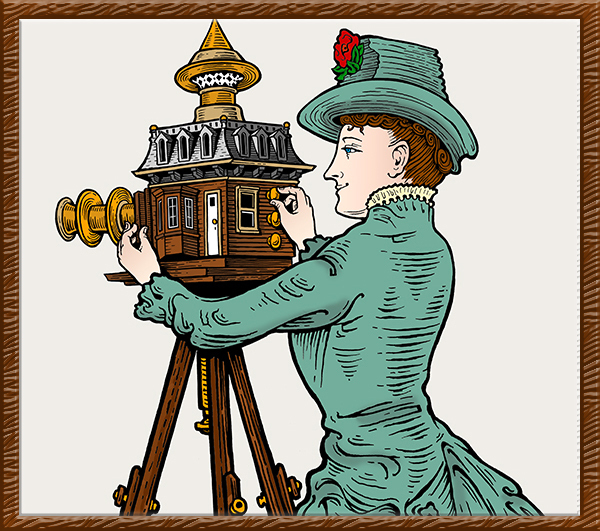 Enjoy an evening watching a documentary about how the residences for women came to be, and learn from the filmmaker what she learned about the beginning of affordable housing for women in the city of Portland. Dana Plautz is a filmmaker with a passion for telling stories about places or industries that no longer exist in their original form. Her projects include the award-winning documentary Artist Response to 9.11 and The Martha Washington and the Women Who Built Her. Ms. Plautz also produced and researched several of the interactive media installations for the 2006 Portland Armory, which underscored the value of architectural preservation to our community.